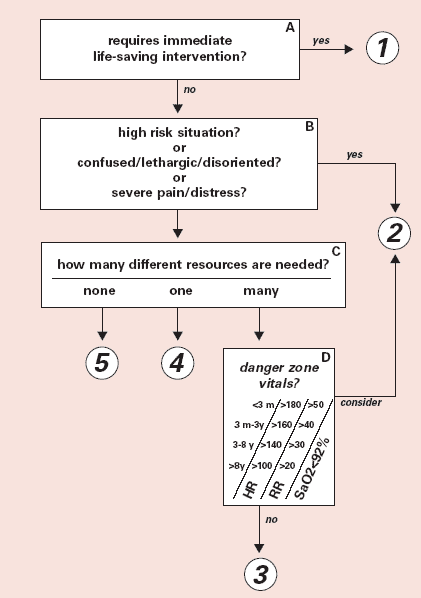 ©ESI Triage Research Team, 2004. Reproduced with permission. The ESI version 4 algorithm is copyrighted and is the intellectual property of the ESI Triage Research Team, LLC. In order to maintain reliability and validity, it is important that the algorithm is not changed.